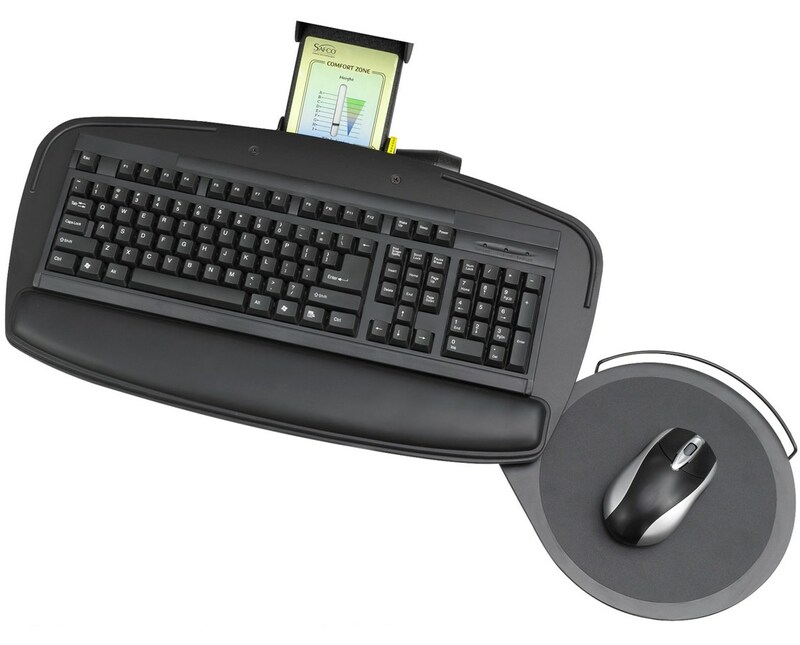 The Safco Premier Series Keyboard Platform with Control Zone is an ultra-thin platform that can be easily attached to any computer desk. 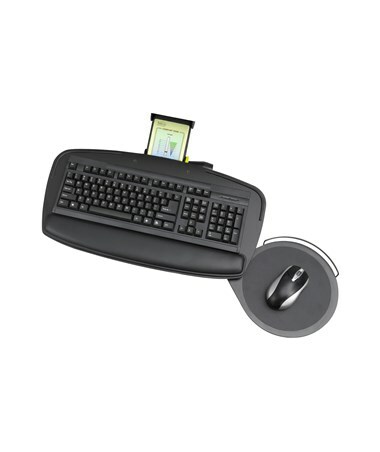 It includes a teardrop mouse platform that swivels to any position and rotates to a full 360 degrees. It features a comfort zone with a height and tilt indicators that allow consistent and customized positioning. A leverless lift-and-release mechanism adjusts the height to a range of up to six inches, while a tilt knob adjusts the platform from +10 degrees to -15 degrees. Also featured is a soothing gel wrist rest for added comfort. This desk accessory is made of phenolic plastic, is GREENGUARD certified for low chemical emissions, and meets BIFMA industry safety standards.